The original post received almost 7,000 upvotes. 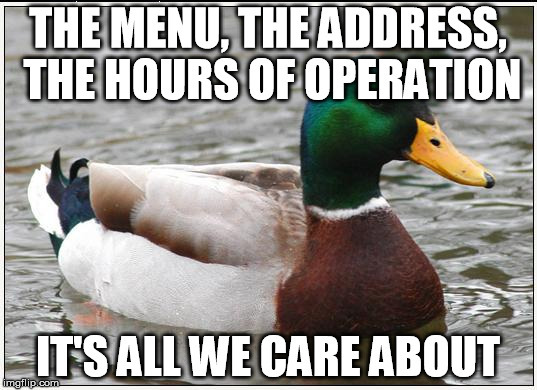 That’s a lot of restaurant customers who just want to see the menu, hours and address. And, if you’ve ever visited one of those complex and meandering restaurant websites, you probably agree. It turns out that there’s no evidence Henry Ford actually uttered this famous quote, but it’s one that almost certainly would have been true had he fired up Qualaroo (or it’s 1900 equivalent) and surveyed his potential users. So which is the right path to follow? Today, I’m making a case for looking past giving customers what they (say they) want. On the face of it, it appears that we are not very good at giving customers what they want. That’s a controversial statement, but it’s one that must be true. Otherwise, the issue of cart abandonment wouldn’t be causing massive headaches for e-commerce site owners all over the globe. Currently, more than 2/3 of shoppers abandon their shopping carts without making a purchase. That’s a lot of website visitors who aren’t finding what they want. From follow-up emails featuring vouchers, product suggestions and so on to elaborate retargeting campaigns, an entire industry has been built around shopping cart abandonment. 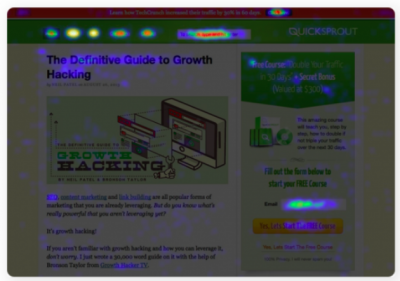 So what is it that visitors really want? The answer, in a nutshell, is that we don’t know. And that’s true for two reasons. “Visitors” is an incredibly loose term and can include everyone from competitors snooping on your checkout process and browsers looking to get an idea of price to shoppers who have been hunting for a particular product for weeks and are itching to buy. People don’t always know what they want. Or, to be more specific, what they want in the short term may not be what’s best for them in the long term. Admittedly, it’s true that Wenzl’s situation is a little different to those mentioned above because his end goal is the same as those of his clients – using tools to build a solution that will improve the overlap between customer and worker experience. It’s only the process itself that varies. It’s difficult to imagine, for example, a way in which a Chinese restaurant can help its customers to reach a decision on what to order without showing them a menu. Or for Henry Ford to use his mass production line to provide his customers with faster horses. The theory is that, however misguided their attempts may be, every product, service or website is designed to address the needs of its potential users. A huge problem is that making changes, even to what may have been an MVP (minimum viable product) is often met with extreme hostility. From Facebook in 2010 to Instagram and Budweiser (uhh, make that “America”) in May of this year, it’s impossible for a brand to release a redesign without people saying that they hate it. But, even though it probably wasn’t, let’s say that the aim of the logo redesign was to generate some noise around the accompanying redesign of the app itself. If that was the case, it did an incredible job: the reaction to the sleek, minimal monochromatic design of the new app has generally been very favorable. Maybe the stark contrast between the black and white app itself and brash new logo is actually supposed to emphasize the changes to the app. Of course, that’s pure speculation so I won’t spend too much time dwelling on it. My point, or rather Tomas’s point, is that we as consumers have no idea what the redesign was supposed to achieve. We can only assume that it was supposed to give people what they need. And I haven’t even begun to talk about the 16% of people who abandon because they’re “just browsing.” That’s almost 2 people out of every 10 visitors who arrive on a site without any real intention of buying. Later in this article I take a look at the outrage that tends to come along when popular apps are redesigned. But do you know anyone still complaining about that Facebook redesign? I don’t, and I probably know plenty of people who don’t have much better to do than hold grudges about redesigns. Maybe people just get used to the changes that they once objected so strongly to, or maybe it turns out that the changes actually DID address the changing needs of users. I like his point, and it’s one that I try to remember whenever I start writing an angry email after a feature is removed from one of my favorite apps or composing a snotty comment about a company’s new logo. When a customer says that something is wrong/ugly/a step backward, it’s usually true that they’ve only thought about it for a few minutes and exclusively from their point of view. Provided changes are made after lengthy discussions, lots of research and consideration of different types of user, it’s OK that some people don’t like them. In fact, it should be expected. If each of these products was built to answer some market need—which we have to assume that they were, otherwise why bother building them?—we can see that either their creators didn’t understand what their audience wanted and/or the audience itself didn’t really know what it wanted. New inventions/companies/products that are successful answer needs that people don’t know they have. This must be true, because if they were addressing a need that people DID know existed then somebody would already have created something to deal with it. Let’s consider another angle. Sometimes brands may be planning to do something users don’t know about that affects what constitutes a good decision. …would certainly stand out in that sea of red and blue. Suddenly, what seemed like a questionable design decision to users starts to look like a wise move. And, even if there is no plan to introduce sharing buttons, the icon still grabs attention and will likely appeal to its teenage demographic. Palace’s way of doing things is definitely not the answer you’d get if you sat a focus group down and asked what they want from product descriptions. They’d tell you that they want clear, concise and informative. Palace’s descriptions are none of these things. Likewise, if you’d run one in 1995 (pre-Innocent Smoothies) asking people whether they wanted a wise-cracking llama on their breakfast juice, I know exactly the answer you’d have received. But just look at Innocent go. Had Palace and Innocent played it safe and done things by the book, i.e. trying to do what they thought their customers wanted, there’s no guarantee that they would have been so successful. Is it wise to let your users, or potential customers, dictate the future direction of your company? No. As they say, a camel is a horse by committee. In other words, try to please everyone and you’ll fail to please anyone. On the other hand, being too stubborn to see when a good idea is right in front of you just because it deviates from what you initially planned is also foolhardy. Is there a happy medium? In a word, yes. But it’s not an easy one to find. In fact, if I knew how to strike the perfect balance of giving your customers what they want while knowing with certainty that it’s the right thing for your company I’d be working as a $500 an hour “redesign consultant” for a big brand somewhere. Trying to give your customers what they need (which may not the same as what they want) is usually a good start, but you should always be willing to pivot in a way that makes sense based on what’s generating revenue. Remember that your most vocal critics may not be your best customers. Whether they knew it or not, Innocent took a risk when their smoothies started talking to the world. 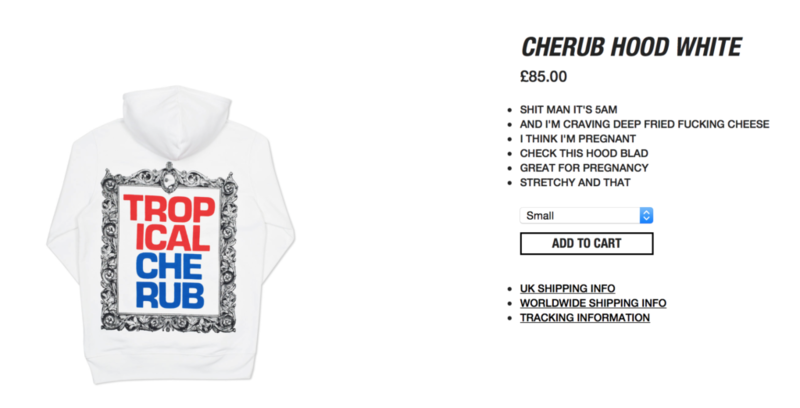 So did Palace when they started using street lingo and off the wall humor on their site. Only when people started tweeting about their “bare jokes product descriptions, fam” did they know that they were on to something. If you can capture even a slice of their success then you’ll know that you’re on to something too, even if it’s not what your customers thought they wanted.